(OPride) — Ethiopia is embroiled in the worst political crisis in more than two decades. 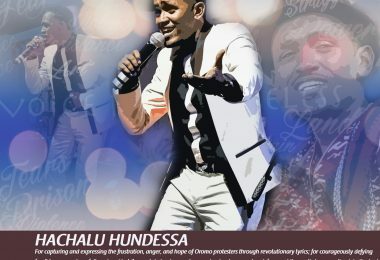 A six-month long state of emergency, which came into effect on October 8, has militarized the entire country, particularly the restive state of Oromia, which has been reeling from widespread protests since November 2015. Among other things, the new decree bans posting on social media, watching dissident TV and radio stations, and restricts public movement including travels by foreign diplomats. Locals report a growing and unprecedented arrests and disappearances, which is increasingly looking like a witch hunt. The latest dragnet targets Oromo business owners, teachers and students. Despite the worsening political crisis, which now threatens to spiral out of control, Ethiopia’s European allies continue to look away. That’s because Ethiopia has emerged as a key partner in Europe’s effort to stem the flow of refugees to the region. In the “migration compacts” report released on October 18, Federica Mogherini, the Vice President of the European Commission, listed Ethiopia among the five key countries that have achieved “better results” in the past four months since the cooperation began. 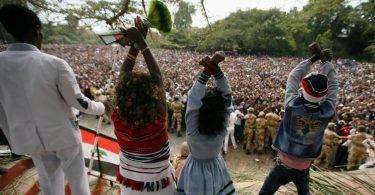 The new funds may come in handy for Ethiopia’s ruling elites and their crony business class that’s increasingly squeezed by popular uprising. There is nothing new about white man’s money: The West have been funnelling aid fund to autocratic leaders to safeguard their narrow interests. However, Ethiopia’s deep-integration into the global patronage (through inflows of rent and aid dollars) is worsening the prospect for democratic transition and any hope of eradicating existing “unfreedom,” including poverty. (Indian economist and philosopher Amartya Sen defines unfreedom as the lack of freedom, including the deprivation of political rights and choice, and exclusion from economic choices). In his recent book, The Real Politics of the Horn of Africa: Money, War and The Business of Power, Alex De Waal provides a unique and compelling account of how elites in power and military generals bargain over foreign fund and maintain power in the Horn of Africa. They control the instruments of violence to achieve their political and personal goals. He characterizes political marketplace as an environment in which a “country is economically poor and vulnerable, and domestic business people and its foreign investors are intimate with its politicians.” Ethiopia fits this description nicely. Ethiopia has been a major recipient of foreign aid for decades. But the country is not better off. It still ranks low in a composite development indicators in Africa, such as UNDP’s Human Development Index (HDI), which measures factors such as health, education, inequality, gender, poverty, and human security. Ethiopia’s HDI increased from 0.3 to 0.45 between 2000 and 2014. This suggests that the country’s much-hyped ‘double-digit economic growth’ has not translated into sustainable development. 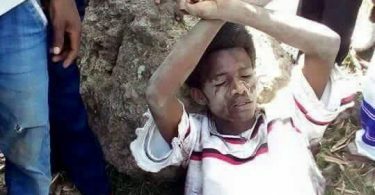 The ensuring popular discontents in Oromia and Amhara regions is the manifestation of Ethiopia’s failure to attain social progress in terms of economic and political development. Moreover, there is limited rigorous evidence of how foreign aid is used to advance development projects in fragile states such as Ethiopia. This is confounded by the fact that the tyranny of aid experts, global shareholders of Poverty, Inc., and host country’s dictators often conceal the direct political links between foreign aid and local politics. We are led to believe that: Foreign aid (always) does good. But as De Waal notes in his book, aid funds do in fact erode authentic institutions including civil societies and the private sector, and could help reverse democratic transitions. Ethiopia receives the largest share of its aid dollars from the U.S. and UK. Aid fund has moulded the real politics of Ethiopia, while the extent of unfreedom is deepened. The country’s political budget is the function of loyalty payments from donors in the form of military and financial assistance for counter-terrorism and peacekeeping, and global climate financing. The ruling elites operate as political entrepreneurs and conduct their political-business with an eye toward maintain power. Insofar, as political instability are a product of a rentier political marketplace, these countries generate threats to the US and Europe including terrorism, organized crime and migration. In turn, US and European security policies involve paying governments to combat these threats […] such assistance and intervention fund rentier political budgets while also increasing the price of loyalty, thus intensifying the very conditions whereby threats are sustained. The civil society, media and opposition politics have all become the casualties of Ethiopia’s deep integration into global political patronage. Ethiopian authorities have instrumentalized the legal system to create barriers to entry, limit NGO activities, and curb free speech and political mobilization. Specifically, to gain complete control over global patronage rents, Ethiopia adopted to draconian laws in 2009: The ‘Charities and Societies Proclamation’ and the infamous anti-terrorism law. The Charities law, which sets a 10 percent cap on foreign funding for domestic civil societies and private sectors engaging in human rights and advocacy, allowed the ruling elite and their cronies to secure all external funds, both for their political budget and affiliated institutions, while curtailing the flow of potential funds to NGOs, opposition groups and the independent media. The law had a devastating effect on civil society organizations and the private sector, including professional associations, trade unions, and the media. As a result, several opposition leaders, leaders of civil society organizations and journalists have been exiled or they are in jail. Meanwhile, by monopolizing foreign rents through regulatory capture and the creation of an ‘elite cartel’ for rent seeking, government-affiliated institutions continue to appropriate external funds for political budgets and personal enrichment. Similarly, the sweeping anti-terrorism law has allowed Ethiopia’s ruling elites to translate western security funding, as part of the global war on terrorism, into political budgets. The proclamation is increasingly being used to silence political opposition, journalists and civil society groups. The cumulative effect of Ethiopia’s growing repression now poses an existential threat to the country. It is time to repeal, yes abolish, all the laws and practices that make democratic transition impossible to end the ongoing political crisis and future threats. The single-party system has proved corrupt and predatory. 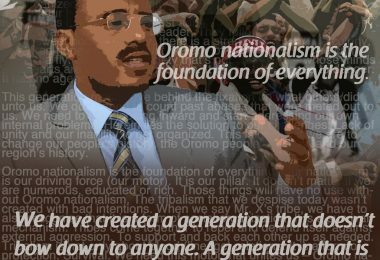 Ethiopia should truly be democratized. The ruling Ethiopian People’s Revolutionary Democratic Front (EPRDF) party’s vague promises of ‘deep reform’ cannot be a solution. Ethiopia needs a political renaissance – the establishment of a political pluralism and alternative social choices, which also improves economic conditions. The melee befalling EPRDF cannot be reduced to post-Meles leadership feebleness. The widespread discontents represent longstanding dissatisfaction with the country’s political and economic trajectory. The protesters grievances are not about local governance deficiencies, an end to corruption or rent-seeking behaviour, but it encompasses demands for democratic rights, equitable share in the economy and the opening of political space. The only appropriate response to the growing chorus for freedom is a democratic, all-inclusive political transition. Unfortunately, the declaration of the marital law suggests EPRDF is adamant about meeting the protesters only on the streets. And its global political patronage doesn’t show any sign of abating either. The same opride that blames the government for shifting blame on others is blaming the west for beeing silent. By all accounts Ethiopia is a best performer in eradicating poverty end extreem poverty in such a shortest of time. If return on Investment is a measure, Donor money in Ethiopia has been the most effective compared to other countrees. Unfortunately greed, envy, (mikenginet) gets the best of people who instead of working hard and shaping their destiny hope for the goverment and some angle from abroad to solve all their problems.